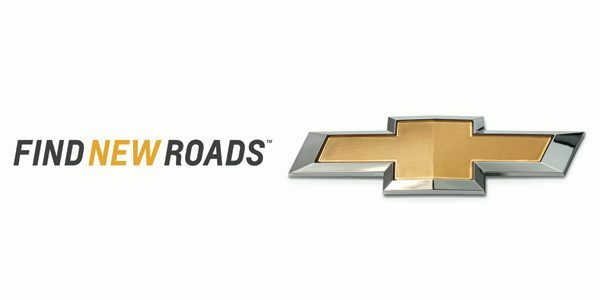 It will be these three words that will unify Chevrolet’s advertising efforts in over 140 markets. And as the brand launches a plethora of new products around the world in 2013, it will be this new slogan that we will see with every ad for each new vehicle. We can first expect to see the new tag in a fresh batch of new ads appearing this quarter in the United States. It’s just too bad we won’t see any of them during this year’s Super Bowl. But we still may see a Corvette C7 at halftime. They pay an ad agency millions of dollars to come up with THIS!? Lame. Well, we’ve gone from something sucky, but with meaning, to something with somewhat of a ring to it that means absolutely nothing, and at the world level. Of course, now that I’ve thought about it, there are people out there that will probably interpret it as: you’ll have to find another way, because you’re in a Chevy. Yeah, that’s awesome. I truly believe whoever thought up the idea of a global, money saving tagline is a ball-less cancer that needs to be shown the door NOW. Sounds like they stole it from Garmin… or possibly a dating site? why don’t they just do “Go above and Beyond”? Probably because it sounds awful in Chinese. It’s just a tad bit vanilla. No flavor. It’s not bad, but it’s not exciting or even memorable. As a GM fan, and I’m sure I speak for many us, I’d come up with a tag line for some vehicle discounts or GM merchandise. It’d save them a whole lot of money which could be dumped right back into R&D and we could have some GM products to hang up in our garages.